Just a dream, this plot of land of 5.5. Hectares. 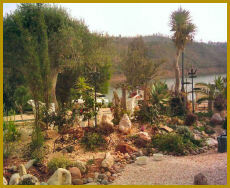 Situated ashore a beautiful lake, just 20 minutes from Lagos and Portimao. On the left, your view is towards the hills of Monchique and Foia (800 m), to the right you have a view over the lake, with a total length of 10 km. The plot consists of beautiful hills, bordering the lake with 200m own waterfront. From April onwards to the end of October the water temperature has an average of 22-25 degrees, which assures a lovely swim. A sailing ship as well as a boat with an electro motor is allowed. Two creeks are part of the property. The whole area is part of preservation of natural beauty. 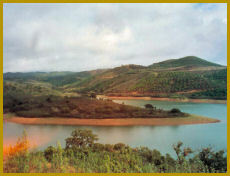 The water of the lake is the drinking water source for Lagos and Portimao. You can catch all kind of fish, like eel, trout, carps and notice a lot of tortoises. 50 m above the water level is the actual building plot. We already designed a beautiful plateau with a lovely garden down to the waterfront. 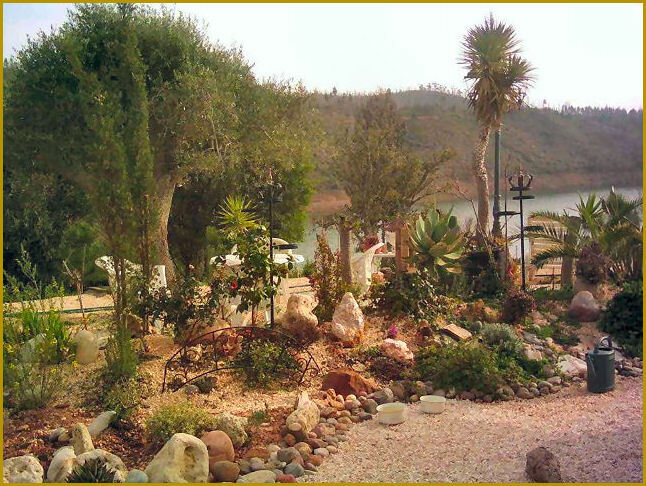 Grown up plants and trees like cork trees, several species of mimosa, olive trees and over a hundred different flowers. Towards the water we designed two ponds, a paradise for frogs. Halfway up the hill, we have constructed a big reservoir to catch rainwater and the water coming from the mountains which is enough to supply all year the irrigation of the garden. 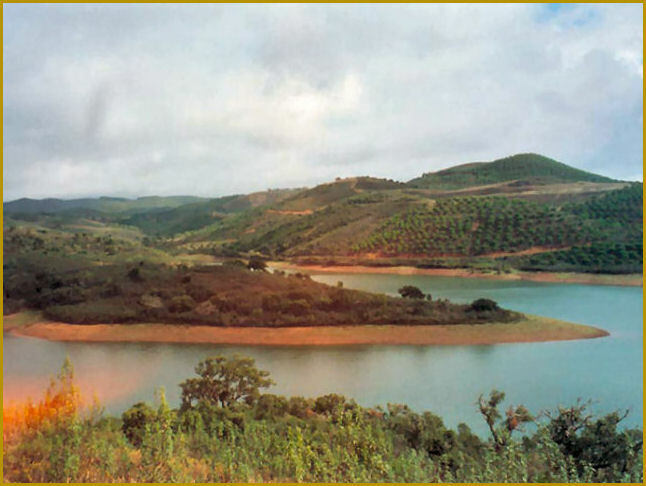 More or less three hectares are in their original beauty with around 200 cork trees and wild vegetation. 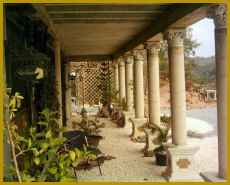 On the plateau with a magnificent view, a villa with 300 square metre, terraces and garage not included, can be build. Good access by private roads. All licenses have been obtained, you could start tomorrow. Electricity and telephone are installed. The garage (suitable for 6 cars, horse stables or apartment) is under construction. Serious candidates are welcome to visit this property, by appointment. Upon request, we can take you from Faro Airport (60 km).